Barnum has been high on our must see list and it's days are numbered. If you haven't caught this Jeff recommended extravaganza yet, go already! Barnum closes June 16th. If you're one of our regular readers you know that both of my kids have taken circus arts for close to 3 years and are on the pre-team track at CircEsteem. We special in covering circus arts and have done original interviews with a number of Cirque du Soleil performers, and shots stills and reviewed numerous circus shows from Cirque Shanghai and Cirque Eloize, to Ringling Brothers and Barnum and Bailey for years. We are even giving away 5 gorgeous, hard back copies of The Ordinary Acrobat by Duncan Wall, A journey into the wondrous world of circus, this month ($26.95 each)! Even if you aren't quite as up to your eyeballs in circus arts as we are, we highly recommend you catch Barnum while you still can. 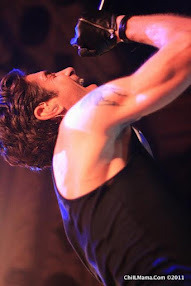 Here at ChiIL Live Shows and ChiIL Mama also we're huge fans of Chi-town pro and star of this show, Gene Weygandt. Check out our original interview with him right here, during a rehearsal for A Christmas Story which played at The Chicago Theatre. Gene not only shared the inside scoop on A Christmas Story but also contributed sweet insights to ChiIL Mama's long running series on How Creatives Parent & How Parents Create. At the time of our interview two years ago, his son was 13. Recommended for ages 7 and up. NO CHILDREN UNDER 5 ADMITTED. Celebrating its Chicago professional premiere, BARNUM sets this colorful personality inside the center ring of his own circus. Audiences will be thrilled with high flying acrobatics as BARNUM tells the story of America’s greatest showman. This show bursts with toe tapping melodies; ballads, marches, and ragtime tunes by Cy Coleman andMichael Stewart. The award-winning cast is led by Chicago native and Broadway, TV, and film actor Gene Weygandt as legendary showman P.T. Barnum, with Cory Goodrich as his wife Charity, and Summer Naomi Smart as the “‘Swedish Nightingale” Jenny Lind. The Mercury’s production is the first major Chicago revival of the show in over 20 years, led by multiple Jeff Award winners L. Walter Stearns (Director) Eugene Dizon (Musical Director), Brenda Didier and Andrew Waters (Co-Choreographers) and Sylvia Hernandez-DiStasi of the Actor’s Gymnasium (Circus Director). The “Greatest Show on Earth” is the setting for this riveting musical, which traces the life and loves of colorful impresario Phineas Taylor Barnum. 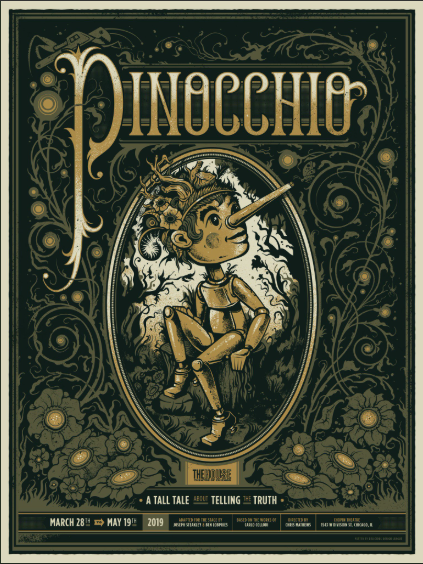 The tale of the American Museum, the smallest man, the oldest woman, the largest elephant and more is told through stunning acrobatics, hilarious variety acts, whimsical magic and puppetry. BARNUM was originally produced on Broadway in 1980 and ran for 854 performances. The score is a pastiche of toe-tapping marches, ballads and ragtime tunes, including “There’s a Sucker Born Ev’ry Minute” and “Come Follow the Band.” It was nominated for ten Tony Awards, including Best Musical, Best Book of a Musical (Mark Bramble) and Best Original Score (Michael Stewart and Cy Coleman performances with Jim Dale taking home the Tony for the title role, followed by a West End run starring Michael Crawford. A Cameron Mackintosh-produced London revival of BARNUM is slated for later this year. Gene Weygandt (P.T. Barnum) is best known for his role as “The Wonderful Wizard of Oz” in Wicked in Chicago and on Broadway. More recently, he starred as Jean Shepherd in A Christmas Story: The Musical. Weygandt originated the role of Paul in Big: The Musical on Broadway. He is a three-time Jeff Award recipient for A Day in Hollywood/A Night in The Ukraine, Me and My Girl and Little Shop of Horrors, and received an After Dark Award for his role as “Max” in the long-running hit Lend Me a Tenor at The Royal George Theatre. He has been seen in the films The Birdcage, The Babe, and The Pager, and on television on Home Improvement, Cybill, Murphy Brown, The Drew Carey Show, Ellen, and Coach. Actress and recording artist Cory Goodrich(Charity Barnum) is a four-time Jeff nominee who was honored with the award for her portrayal of “Mother” in Ragtime at Drury Lane Theatre. She has appeared as “Alma Stossel” in The Mercury Theater’s The Christmas Schooner for the past two seasons and was recently seen in the critically acclaimed production of A Little Night Music at Writer’s Theatre. Goodrich has recorded two award-winning children’s albums, and has performed in concert at Ravina Festival, Chicago Symphony Orchestra, and the Auditorium Theatre. The Barnum’s marriage is tested by the affections of Swedish opera singer Jenny Lind, depicted by two-time Jeff Award winner Summer Naomi Smart. Smart made her Chicago debut as “Nessarose” in the first national sit-down production of Wicked, and received a Jeff Award for her portrayal of “Charity Hope Valentine” in Sweet Charity at Drury Lane Theatre. She has recently been seen in leading roles in My One and Only, Hero and Legally Blonde at Marriott Theatre where she earned a Jeff Award for her role in The Light in the Piazza. 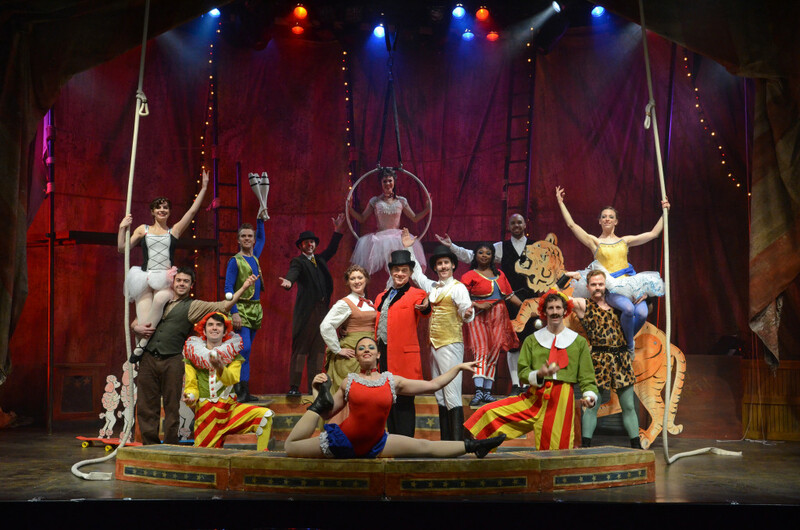 The cast also features Kevin McKillip as “the Ringmaster and Christian Libonati as the world’s smallest man, “General Tom Thumb.” The circus performers are Karissa Barney, Nathan Drackett, Kris Hyland, Taylor Krasne-Wilton, Jeremy Sonkin, Ryan Westwood and J. Tyler Whitmer. Scenic Design is by Jacqueline and Richard Penrod, Costume Design is by Carol Blanchard, Lighting Design is by Jason Epperson and Sound Design is byMike Ross. The Mercury Theater recently kicked off its first full season, launching the largest musical theater company in Chicago. The rest of the season includes the critically acclaimed production of A GRAND NIGHT FOR SINGING(running through March 10th), the regional premiere of THE COLOR PURPLE (August-November), and the perennial holiday hit THE CHRISTMAS SCHOONER (November-December). 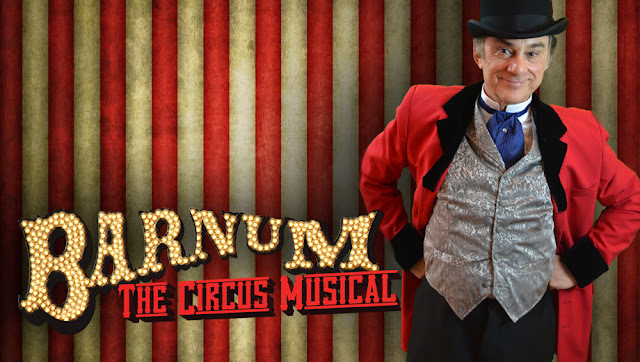 BARNUM runs from March 27 through June 16, 2013. 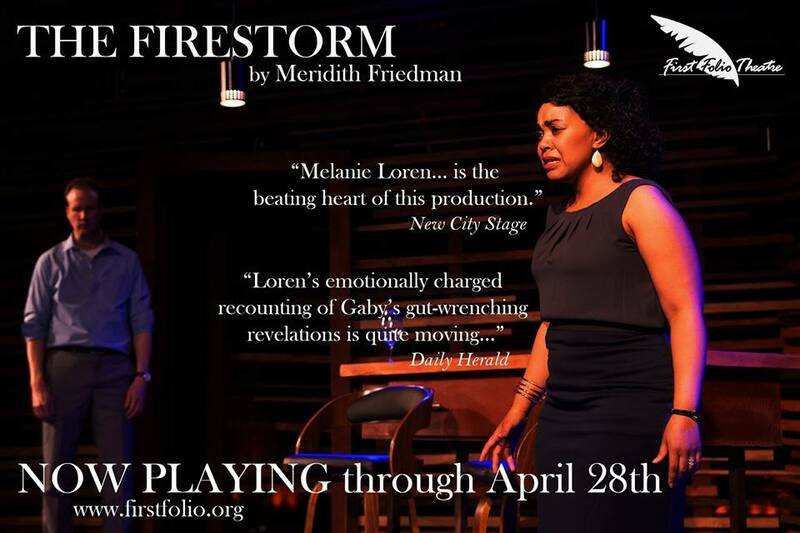 The performance schedule is: Wednesdays at 7:30 p.m., Thursdays at 2 p.m. and 7:30 p.m., Fridays at 8 p.m., Saturdays at 2 p.m. and 8 p.m. and Sundays at 2 p.m. Tickets range from $25-$59, and are available online, over the phone at 773-325-1700, or in person at 3745 N. Southport Avenue, Chicago. Discounts of up to 50% are available for groups of 10 or more.